1642 yılında İngiltere Woolsthorpe ‘da doğan ünlü fizik, astronomi ve matematik bilgini; bir çiftlik sahibinin oğluydu. Küçük yaşta öksüz kalınca büyükannesi tarafından büyütüldü. İlkokul çağlarında basit kimya deneylerine ilgi duydu. 1660’ta Newton, Cambridge ‘deki Trinity College ‘e gönderildi. Burada Isaac Barrow ‘un dikkatini çekti. 1665’te Londra ’da veba salgını çıkınca, Cambridge Üniversitesi kapatıldı ve Newton doğduğu yer olan Woolsthorpe ‘a döndü. 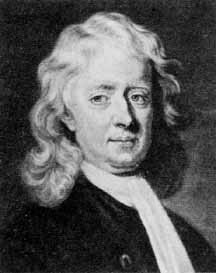 Newton, Sir Isaac (1642-1727), mathematician and physicist, one of the foremost scientific intellects of all time. Born at Woolsthorpe, near Grantham in Lincolnshire, where he attended school, he entered Cambridge University in 1661; he was elected a Fellow of Trinity College in 1667, and Lucasian Professor of Mathematics in 1669. He remained at the university, lecturing in most years, until 1696. Of these Cambridge years, in which Newton was at the height of his creative power, he singled out 1665-1666 (spent largely in Lincolnshire because of plague in Cambridge) as “the prime of my age for invention”. During two to three years of intense mental effort he prepared Philosophiae Naturalis Principia Mathematica (Mathematical Principles of Natural Philosophy) commonly known as the Principia, although this was not published until 1687. 1667’ye kadar orada kaldı, kendini deney ve araştırmalara verdi. Beyaz ışığın ayrıştırılması, çeşitli metalurji çalışmaları, evrensel çekim yasası; matematik alanındaysa çokterimli ifadelerin üstlerinin alınması, diferansiyel ve integral hesapları bu iki yıllık çalışmasının ürünleridir ve onun Barlow ’un yerine 1669’da “Trinity College” matematik profesörlüğüne getirilmesini sağlamıştır. 1668’de ilk yansımalı teleskopu yaptı. Ertesi yıl optik profesörü oldu. 1672’de “Royal Society” üyeliğine seçildi. 1703 yılından ölümüne kadar bu kurulun başkanlığını yaptı. Newton ‘un matematiğe en önemli katkısı, tutarlı bir kuram olan sonsuz küçükler hesabını (Kendi deyimiyle akışkanlar hesabını) oluşturmasıdır. Bunu özellikle 17. yüzyılın başlarında yavaş yavaş geliştirmeye başlamıştı. Leibniz de neredeyse aynı zamanda (1684) aynı bireşime ulaştı, ancak bu hesabı farklı bir biçimde ve değişik bir anlayışla sundu. Bunun üzerine iki bilgin, buluşun kime ait olduğu konusunda yıllarca tartıştılar. Mekanik alanında Newton, daha önceki önemli buluşları bir ölçüde düzelterek, tümüyle genelleştirip tamamlayarak; tam ve kesin bir bilimsel kuram biçiminde toparlayan ilk bilim adamı oldu. Bu eski bilgileri; özellikle yerçekimini ve gökcisimleri arasındaki çekimleri belirten evrensel çekim yasasıyla tamamladı. Newton ‘un bu buluşu nasıl yaptığını anlatan “Newton’un Elması” hikayesinin doğruluğu hala tartışılır. 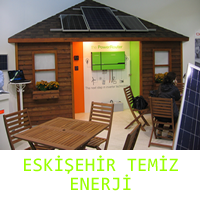 Newton; kütle ve kuvvet kavramlarını açıkça tanımladı. Bu tanımları yaparken ve çekim yasasını uzaklıkların karesinin tersine göre kurarken, Huygens ‘in merkezkaç kuvvet yasasından (1659) yararlandı. Gün merkezcilik görüşünü benimseyen Newton, mekanik üstüne düşüncelerini daha önce Kepler tarafından bir ölçüde ve pek kesin olmayan bir biçimde ortaya konan gezegenlerin ve Ay ‘ın devinimleri konusuna uyguladı. Gökbilimci Jean Picard ‘ın ölçümlerine (1670) dayanarak; ılım noktalarının yalpalarını, gelgitleri ve yerin basıklığını açıkladı. Newton ‘un mekaniği, Einstein ‘ın görelilik kuramına kadar , köklü bir değişime uğramadan, başta akışkanlar ve gök mekaniği olmak üzere mekanik alanında görülen gelişmelerin temelini oluşturdu. Newton ‘un optikte en büyük katkısı 1671’de ilk teleskopu geliştirmesinin yanısıra, prizma tarafından dağıtılan beyaz ışığı inceleyerek geliştirdiği renkler kuramıdır. Bu konudaki ilk çalışmalarını 1666’da Royal Society ‘ye sunduğu incelemede Hooke ‘un görüşlerine karşı çıktı. Ancak bu çalışmaların geniş bir açıklaması; çok daha sonra yayımlanan Opticks (Optik) adlı yaptında yer aldı. Newton bu kitapta, Nicolas De Malebranche ile hemen hemen aynı zamanda, her rengin özgül ve değiştirilemeyen bir özellikte olduğunu savundu. Özelliklle, Opticks ‘in 1706 latince baskısıyla birlikte yayımlanmaya başlanan Quaestiones (Sorular) adlı ekinde renklerin yapısı üstüne görüşlerini açıkladı. Bu görüşler pek de bilimsel değildi ve karma bir kuram biçiminde sunuluyordu. Işık, her renk için farklı büyüklükte taneciklerden oluşur ve bunlar dalgalar oluşturarak esiri sarsar. Newton, buna dayanarak ışık dalgalarının dönemliği ya da frekansı kavramını ortaya attı. Ancak Malebranche ‘tan farklı olarak, bu kavramı genlik kavramından ayırmadı. 1688’de parlamentoya üye oluşuyla birlikte bilimsel çalışmalardan uzaklaştı, politika yaş**ına atıldı. 1691–1694 yıllarında ciddi bir ruhsal bunalım geçirdi. 1695’te öğrencisi Lord Halifax ‘ın aracılığıyla darphane denetmenliğine tayin edilen Newton, 1699’da bu kurumun müdürü oldu. Ayrıca din, tarih ve kronoloji çalışmaları da yapmıştır. Newton, 1727’de Kensington’da öldü ve Westminster ‘a gömüldü. As a firm opponent of the attempt by King James II to make the universities into Catholic institutions, Newton was elected Member of Parliament for the University of Cambridge to the Convention Parliament of 1689, and sat again in 1701-1702. Meanwhile, in 1696 he had moved to London as Warden of the Royal Mint. He became Master of the Mint in 1699, an office he retained to his death. He was elected a Fellow of the Royal Society of London in 1671, and in 1703 he became President, being annually re-elected for the rest of his life. His major work, Opticks, appeared the next year; he was knighted in Cambridge in 1705. As Newtonian science became increasingly accepted on the Continent, and especially after a general peace was restored in 1714, following the War of the Spanish Succession, Newton became the most highly esteemed natural philosopher in Europe. His last decades were passed in revising his major works, polishing his studies of ancient history, and defending himself against critics, as well as carrying out his official duties. Newton was modest, diffident, and a man of simple tastes. He was angered by criticism or opposition, and harboured resentment; he was harsh towards enemies but generous to friends. In government, and at the Royal Society, he proved an able administrator. He never married and lived modestly, but was buried with great pomp in Westminster Abbey. Newton has been regarded for almost 300 years as the founding examplar of modern physical science, his achievements in experimental investigation being as innovative as those in mathematical research. With equal, if not greater, energy and originality he also plunged into chemistry, the early history of Western civilization, and theology; among his special studies was an investigation of the form and dimensions, as described in the Bible, of Solomon’s Temple in Jerusalem. In 1664, while still a student, Newton read recent work on optics and light by the English physicists Robert Boyle and Robert Hooke; he also studied both the mathematics and the physics of the French philosopher and scientist René Descartes. He investigated the refraction of light by a glass prism; developing over a few years a series of increasingly elaborate, refined, and exact experiments, Newton discovered measurable, mathematical patterns in the phenomenon of colour. He found white light to be a mixture of infinitely varied coloured rays (manifest in the rainbow and the spectrum), each ray definable by the angle through which it is refracted on entering or leaving a given transparent medium. He correlated this notion with his study of the interference colours of thin films (for example, of oil on water, or soap bubbles), using a simple technique of extreme acuity to measure the thickness of such films. He held that light consisted of streams of minute particles. From his experiments he could infer the magnitudes of the transparent “corpuscles” forming the surfaces of bodies, which, according to their dimensions, so interacted with white light as to reflect, selectively, the different observed colours of those surfaces. The roots of these unconventional ideas were with Newton by about 1668; when first expressed (tersely and partially) in public in 1672 and 1675, they provoked hostile criticism, mainly because colours were thought to be modified forms of homogeneous white light. Doubts, and Newton’s rejoinders, were printed in the learned journals. Notably, the scepticism of Christiaan Huygens and the failure of the French physicist Edmé Mariotte to duplicate Newton’s refraction experiments in 1681 set scientists on the Continent against him for a generation. The publication of Opticks, largely written by 1692, was delayed by Newton until the critics were dead. The book was still imperfect: the colours of diffraction defeated Newton. Nevertheless, Opticks established itself, from about 1715, as a model of the interweaving of theory with quantitative experimentation. In mathematics too, early brilliance appeared in Newton’s student notes. He may have learnt geometry at school, though he always spoke of himself as self-taught; certainly he advanced through studying the writings of his compatriots William Oughtred and John Wallis, and of Descartes and the Dutch school. Newton made contributions to all branches of mathematics then studied, but is especially famous for his solutions to the contemporary problems in analytical geometry of drawing tangents to curves (differentiation) and defining areas bounded by curves (integration). Not only did Newton discover that these problems were inverse to each other, but he discovered general methods of resolving problems of curvature, embraced in his “method of fluxions” and “inverse method of fluxions”, respectively equivalent to Leibniz’s later differential and integral calculus. Newton used the term “fluxion” (from Latin meaning “flow”) because he imagined a quantity “flowing” from one magnitude to another. Fluxions were expressed algebraically, as Leibniz’s differentials were, but Newton made extensive use also (especially in the Principia) of analogous geometrical arguments. Late in life, Newton expressed regret for the algebraic style of recent mathematical progress, preferring the geometrical method of the Classical Greeks, which he regarded as clearer and more rigorous. Newton’s work on pure mathematics was virtually hidden from all but his correspondents until 1704, when he published, with Opticks, a tract on the quadrature of curves (integration) and another on the classification of the cubic curves. His Cambridge lectures, delivered from about 1673 to 1683, were published in 1707. Newton had the essence of the methods of fluxions by 1666. The first to become known, privately, to other mathematicians, in 1668, was his method of integration by infinite series. In Paris in 1675 Gottfried Wilhelm Leibniz independently evolved the first ideas of his differential calculus, outlined to Newton in 1677. Newton had already described some of his mathematical discoveries to Leibniz, not including his method of fluxions. In 1684 Leibniz published his first paper on calculus; a small group of mathematicians took up his ideas. In the 1690s Newton’s friends proclaimed the priority of Newton’s methods of fluxions. Supporters of Leibniz asserted that he had communicated the differential method to Newton, although Leibniz had claimed no such thing. Newtonians then asserted, rightly, that Leibniz had seen papers of Newton’s during a London visit in 1676; in reality, Leibniz had taken no notice of material on fluxions. A violent dispute sprang up, part public, part private, extended by Leibniz to attacks on Newton’s theory of gravitation and his ideas about God and creation; it was not ended even by Leibniz’s death in 1716. The dispute delayed the reception of Newtonian science on the Continent, and dissuaded British mathematicians from sharing the researches of Continental colleagues for a century. According to the well-known story, it was on seeing an apple fall in his orchard at some time during 1665 or 1666 that Newton conceived that the same force governed the motion of the Moon and the apple. He calculated the force needed to hold the Moon in its orbit, as compared with the force pulling an object to the ground. He also calculated the centripetal force needed to hold a stone in a sling, and the relation between the length of a pendulum and the time of its swing. These early explorations were not soon exploited by Newton, though he studied astronomy and the problems of planetary motion. Correspondence with Hooke (1679-1680) redirected Newton to the problem of the path of a body subjected to a centrally directed force that varies as the inverse square of the distance; he determined it to be an ellipse, so informing Edmond Halley in August 1684. Halley’s interest led Newton to demonstrate the relationship afresh, to compose a brief tract on mechanics, and finally to write the Principia. Book I of the Principia states the foundations of the science of mechanics, developing upon them the mathematics of orbital motion round centres of force. Newton identified gravitation as the fundamental force controlling the motions of the celestial bodies. He never found its cause. To contemporaries who found the idea of attractions across empty space unintelligible, he conceded that they might prove to be caused by the impacts of unseen particles. Book II inaugurates the theory of fluids: Newton solves problems of fluids in movement and of motion through fluids. From the density of air he calculated the speed of sound waves. Book III shows the law of gravitation at work in the universe: Newton demonstrates it from the revolutions of the six known planets, including the Earth, and their satellites. However, he could never quite perfect the difficult theory of the Moon’s motion. Comets were shown to obey the same law; in later editions, Newton added conjectures on the possibility of their return. He calculated the relative masses of heavenly bodies from their gravitational forces, and the oblateness of Earth and Jupiter, already observed. He explained tidal ebb and flow and the precession of the equinoxes from the forces exerted by the Sun and Moon. All this was done by exact computation. Newton’s work in mechanics was accepted at once in Britain, and universally after half a century. Since then it has been ranked among humanity’s greatest achievements in abstract thought. It was extended and perfected by others, notably Pierre Simon de Laplace, without changing its basis and it survived into the late 19th century before it began to show signs of failing. See Quantum Theory; Relativity. Newton left a mass of manuscripts on the subjects of alchemy and chemistry, then closely related topics. Most of these were extracts from books, bibliographies, dictionaries, and so on, but a few are original. He began intensive experimentation in 1669, continuing till he left Cambridge, seeking to unravel the meaning that he hoped was hidden in alchemical obscurity and mysticism. He sought understanding of the nature and structure of all matter, formed from the “solid, massy, hard, impenetrable, movable particles” that he believed God had created. Most importantly in the “Queries” appended to “Opticks” and in the essay “On the Nature of Acids” (1710), Newton published an incomplete theory of chemical force, concealing his exploration of the alchemists, which became known a century after his death. Newton owned more books on humanistic learning than on mathematics and science; all his life he studied them deeply. His unpublished “classical scholia”—explanatory notes intended for use in a future edition of the Principia—reveal his knowledge of pre-Socratic philosophy; he read the Fathers of the Church even more deeply. Newton sought to reconcile Greek mythology and record with the Bible, considered the prime authority on the early history of mankind. In his work on chronology he undertook to make Jewish and pagan dates compatible, and to fix them absolutely from an astronomical argument about the earliest constellation figures devised by the Greeks. He put the fall of Troy at 904 BC, about 500 years later than other scholars; this was not well received. Newton also wrote on Judaeo-Christian prophecy, whose decipherment was essential, he thought, to the understanding of God. His book on the subject, which was reprinted well into the Victorian Age, represented lifelong study. Its message was that Christianity went astray in the 4th century AD, when the first Council of Nicaea propounded erroneous doctrines of the nature of Christ. The full extent of Newton’s unorthodoxy was recognized only in the present century: but although a critic of accepted Trinitarian dogmas and the Council of Nicaea, he possessed a deep religious sense, venerated the Bible and accepted its account of creation. In late editions of his scientific works he expressed a strong sense of God’s providential role in nature. Newton published an edition of Geographia generalis by the German geographer Varenius in 1672. His own letters on optics appeared in print from 1672 to 1676. Then he published nothing until the Principia (published in Latin in 1687; revised in 1713 and 1726; and translated into English in 1729). This was followed by Opticks in 1704; a revised edition in Latin appeared in 1706. Posthumously published writings include The Chronology of Ancient Kingdoms Amended (1728), The System of the World (1728), the first draft of Book III of the Principia, and Observations upon the Prophecies of Daniel and the Apocalypse of St John (1733).